Each round patch is laser cut, not scissor cut, to maintain integrity of the mat thread material. Each patch kit comes with a special marine glue that is waterproof and has a tensile strength that is more superior than the original mat application. To Repair Trampoline Damage of holes or cuts in the Trampoline Jumping Mat. kit Included: 2 patch- 4” round diameter, and 1 marine industrial grade glue 1 oz tube, 1 nitrile glove. Each round patch is laser cut, not scissor cut, to maintain integrity of the mat thread material. Each patch kit comes with a special marine glue that is waterproof and has a tensile strength that is more superior than the original mat application. To Repair Trampoline Damage of holes or cuts in the Trampoline Jumping Mat. 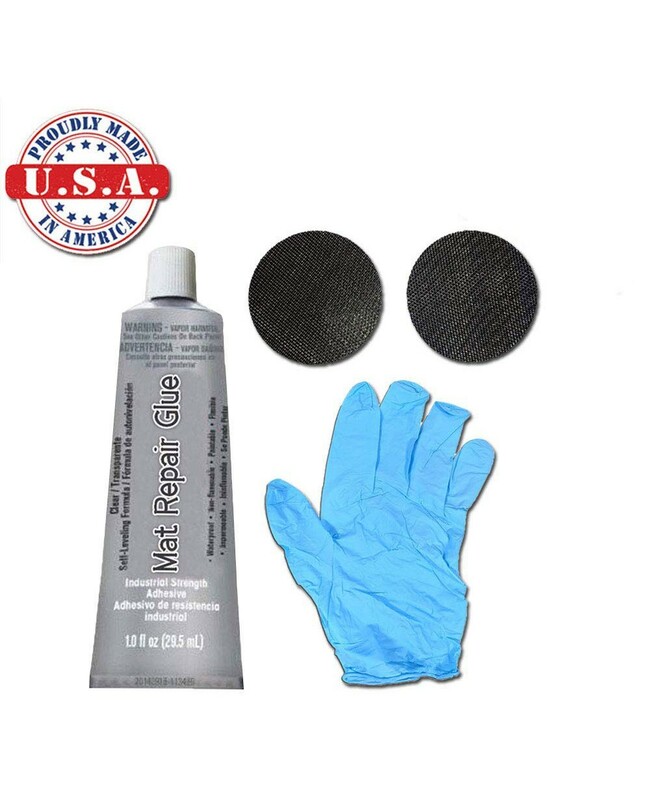 A Strong Mat Material and Glue combination that will Repair Hole's and Tear's in your Trampoline Mat kit Included: 2 patch- 4” round diameter, and 1 marine industrial grade glue 1 oz tube, 1 nitrile glove.